KD was raised in the restaurant business, his family owned and operated a 24 - hour, full service restaurant in Williamsburg, Kentucky, where he learned the business from the ground up. KD went on to become a professional chef in restaurants in Kentucky, Tennessee and Florida. 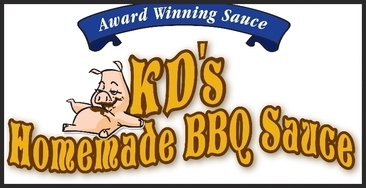 KD always made everything from scratch, and one of his most popular creations was his homemade barbeque sauce. He developed the recipe himself by adding and taking away ingredients until he arrived at the perfect sauce. ​​In 1994 KD moved back to KY to become Chef at the Cumberland Inn at Cumberland College. KD started with the Department of Parks as chef in 1997 at Cumberland Falls and additionally served at Blue Licks Battlefield, Natural Bridge Resort Park and Pine Mountain State Park. KD has been involved with the Kentucky Derby Breakfast and was also part of the garnishing team for Governor Patton's Derby Gala events as well as Governor Fletcher's Inauguration. In 2004 KD won first place at Sullivan University's "Best of the Best" competition for his garnishing and table presentation. KD has been involved with his community throughout the years by conducting a variety of events such as cooking and garnishing shows for local banks, schools, church organizations, homemakers groups and similar organizations. ​​​​​​​​​​​​​​​​​​​​​​​​​​​​​​​​​​​A friend of KD's owned a local store and offered to carry his product to see if anyone would be interested in buying it. KD packaged some jars with homemade labels. When that supply quickly sold out, people started showing up at his home wanting to buy more. KD noticed that the customers loved his product and had been looking for a quality made BBQ which he had. KD decided to take the plunge and buy a house with a basement he could convert into a commercial production facility in Lee County, Kentucky. KD’s Homemade BBQ Sauce has had quite a successful start. It was sent to the Inaugural Kentucky Bluegrass Ball in Washington, DC in January 2009 and 2013. The delectable sauce is available throughout Kentucky, Virginia & Ohio. ​​ " I truly believe you will love this sauce"